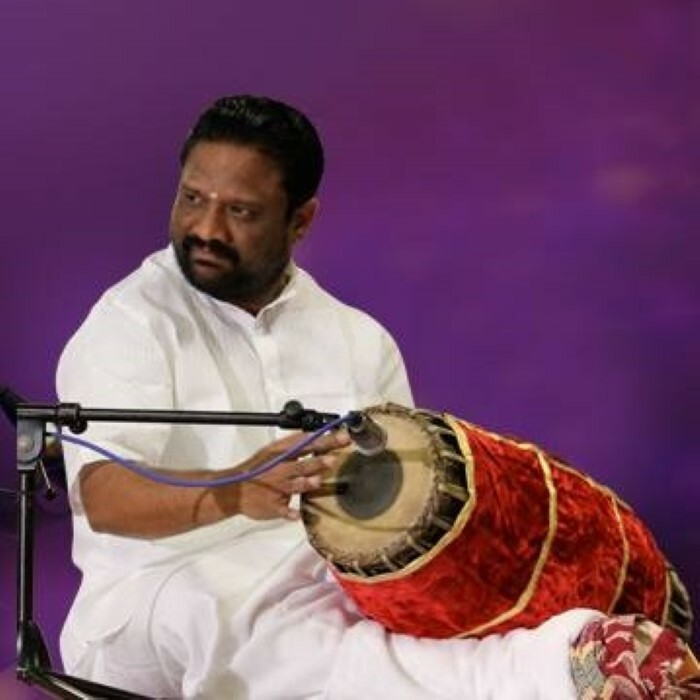 Neyveli B Venkatesh is a professional mridangam player based out of the capital city of Tamil Nadu, Chennai. He started playing mridangam when he was just seven years old. His father, AS Balaraman, was his first guru (teacher) who taught him the basics of percussion. As he grew older, he attained guidance from PP Venkatesan and Ramanathapuram MN Kandaswamy, who polished his skills. Neyveli gave his debut performance at the age of 10, which caught the attention of media and other musicians. The spark to achieve, what he has got today, was ignited by his family members. He rose to fame when he played for a 28-hour-long non-stop marathon session in Neyveli. This turning point left an indelible imprint in the music industry. The then Governor of Tamil Nadu – KK Shah – congratulated him for his success. Venkatesh is a skilled at playing the very difficult 'gumuki style'. He is also an expert in playing kanjira. He is an A-grade mridangam artist in All India Radio, and a B-grade artist in playing Kanjira.